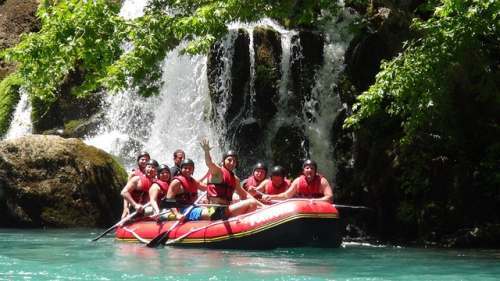 Rafting excursions on the Corno river, in Valnerina between Norcia and Cascia ( east of Umbria) from May to September. 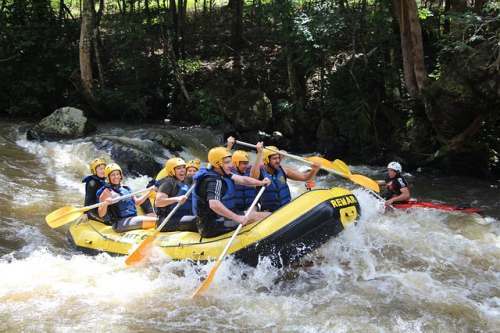 Rafting is an exciting team sport suitable for everyone, which consists in sailing down the river in an inflatable raft. Each team, composed of 1 to 6 people (depending on the flow rate ) rows the raft with paddles. The activity has a duration of 1 or 2 hours. Along the river you will face amusing falls. You will be guided by an expert instructor. The necessary outfit will be delivered at the rafting-center.